Softly hued apricot-orange blooms deepen as they mature. Light fragrance. Here is a selection of our most popular late-flowering double tulips. 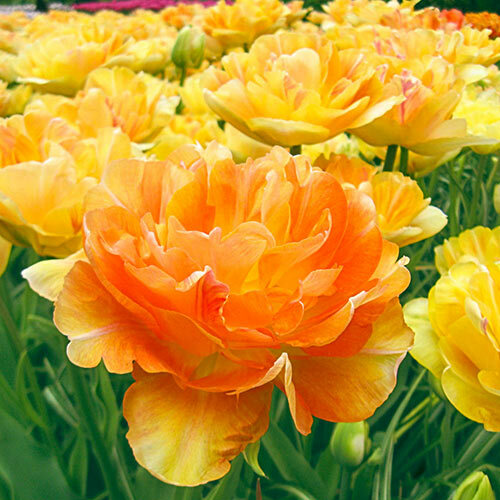 A perennial favorite, these spectacular blooms are also known as peony tulips due to their large number of petals. Sporting vivid colors atop tall stems, these beauties offer a long-lasting accent. When fully open, some blooms reach an impressive 4" across. Due to their size, they perform best when protected from severe wind and rain. Incorporate these large doubles in beds, borders and more for maximum impact.